The Career Center is excited to host the second event in our "Culture & Connection" series! 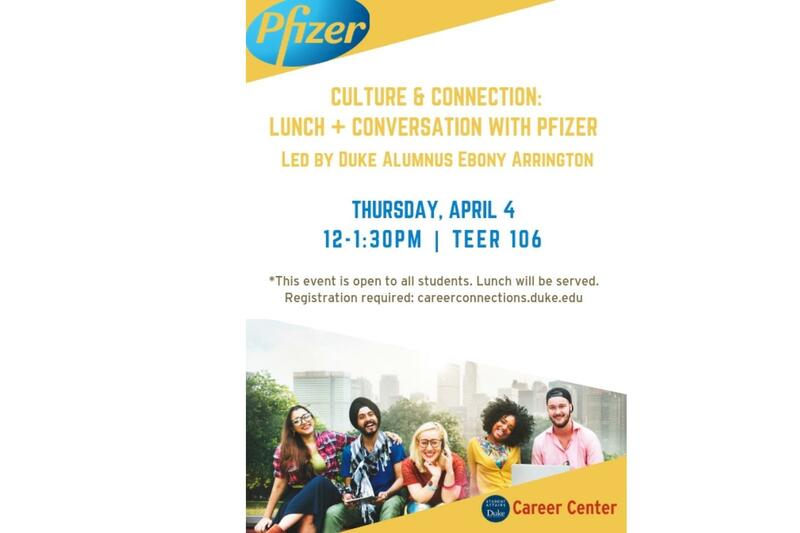 Join us for lunch and conversation with colleagues from Pfizer led by Duke alumnus, Ebony Arrington. Hear more about hiring and current opportunities at the Pfizer location in Sanford (STEM focused), and engage with a panel of professionals with time devoted to hearing about diversity, company culture within the workplace, and Pfizer's Colleague Resource Groups.